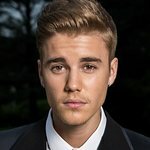 Justin Bieber has met with Japanese children affected by the devastating tsunami that hit the country in March. The teen star is currently in Japan for concerts, and took the time to meet some of his fans who have lost their homes, livelihoods and loved ones in the disaster. “We have friends who lost their family and their homes, some have left our school,” one of his fans told him during the meeting. "The town is covered with wreckage and it will take a long time to get back to normal.